Danville CA – After finishing 5th in the 2011 Formula D Championship, 2nd in the 2011 Discount Tire Triple Crown, and 1st in the last round at Irwindale in 2011, Tyler McQuarrie is finally announcing his 2012 Formula D program. It has been a very busy off-season putting this deal together and it has taken on a new and promising direction over the past few weeks. Tyler McQuarrie Racing and Gardella Racing have joined forces and will jointly operate the Drift operations of Gardella Racing. Tyler McQuarrie will take a leading role and oversee all operations bringing a wealth of experience and tenacity that the pair believe will take Tyler’s racing to the next level. 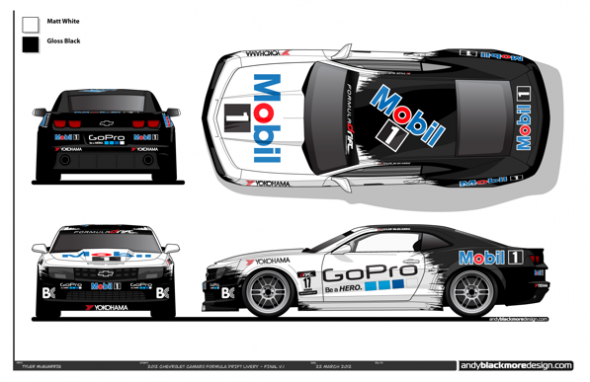 McQuarrie will compete in the Mobil 1 Chevrolet Camaro for the 2012 Formula D Championship and will bring onboard and expand his current relationship with GoPro and BC. He is also very excited to bring Yokohama Tire Corp back to Formula D after they spent 5 years away from the sport. Yokohama helped Tyler get into Formula D back in 2004, so it’s fitting that they are partnered up again for this new program. Many of Gardella Racing partners ACT, Enkei Wheels, Eibach, Wilwood, NGK, and Ignite Fuel will continue to support the new program. “Gary Gardella has built this team into a championship contender over the years and I’m very excited and honored to keep the momentum going while I make a run for the 2012 Championship” said McQuarrie. ” I look forward to my new and expanded role as team manager, driver and having more control of where my career goes from here” Tyler looks forward to complementing and enhancing the relationship with the iconic brand Mobil 1, which has been a strong supporter of this team for the past four years. 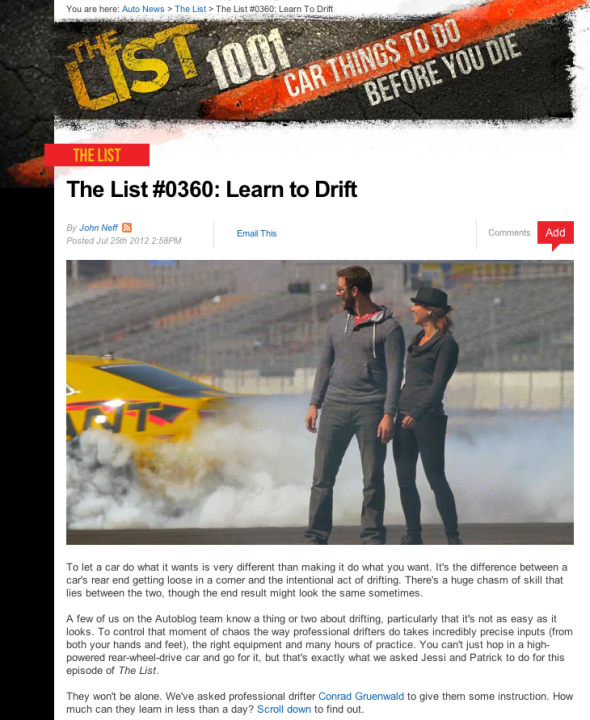 McQuarrie plans on continuing his winning ways in Formula D with this new program. The team has spent the last two weeks getting Tyler seat time in the Camaro and working on a setup with the Yokohama Tires. Keep an eye out for them at Round 1 Formula D Long Beach April 6-7.